Enigma Superior Gourmet is one of the most unique flavored olive oils worldwide, of top quality and specialized production, which belongs in the category of flavored, gourmet, premium olive oil (flavored evoo). It is a unique flavored olive oil, of limited edition, containing Koroneiki olives, apples, walnuts, cinnamon, honey, sage and lemon. 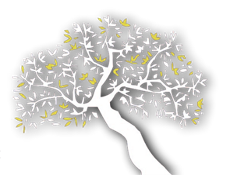 The result of this flavored olive oil and its enigmatic combination, is a naturally flavored olive oil with superior taste, top quality, fine balance and characteristic aromas that has been awarded many times in international olive oil competitions for high quality from expert judges in top olive oil competitions. 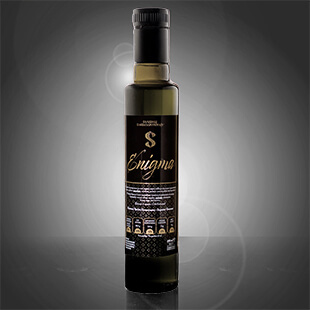 Enigma Superior Gourmet flavored olive oil is undeniably one innovative flavored olive oil, of specialized expertise and top quality, with natural infusion of ingredients in the olive oil, with its top award being the Gold Medal for innovation in 2014 in its first year of circulation. The limited edition flavored olive oil Enigma Superior gourmet rightfully belongs to the category of executive culinary olive oils, with a lot of international distinctions, many times surpassing the gold and reaching the platinum medal in top quality olive oil taste competitions and is classified as one of the most awarded Greek innovative flavored olive oils. It exceeds the normal approach of a flavored oil and offers gourmet flavor of high gastronomy with unique intense characteristics, while requiring a minimal quantity.